Bob brings a unique skill set to our team, combining over 30 years of building construction and inspection experience, with 34 years as a licensed, master electrician….a good person to trust when it comes to inspecting your electrical system! He is a licensed home inspector in New Hampshire and a Certified Professional Home Inspector with InterNachi, as well as an ITC Level 1 Certified Infrared Thermographer…which means he can see critical things YOU can’t see! In his spare time, for the last 14 years, Bob has been imparting his wisdom instructing students for the NJATC in New Hampshire, was a Certified Instructor for the 2017 National Electrical Code update and has been a Level 3 Quality Control Inspector for mechanical contractors, so he enjoys teaching people and uncovering things! 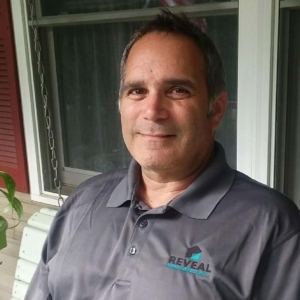 You might say that Bob puts the “Reveal” in Reveal Home Inspection, LLC! Rich brings a combination of “high-tech and high touch” to the party. 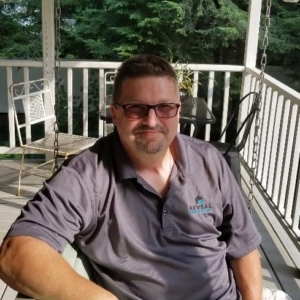 He holds a New Hampshire Home Inspection License, is a graduate of the American Home Inspector’s Training Institute (AHIT), a Certified Professional Inspector with InterNachi, and member of the American Society of Home Inspectors (ASHI). Rich has 16 years experience in new residential construction inspection, including construction phase/draw and insurance loss control and renovation inspection. He has combined his technical expertise with a business, sales, marketing and health education background and is a graduate of the University of Florida with a B.S in Health Education, making him well-qualified to help educate YOU on the HEALTH of your new home! Rich is our wood destroying insect, radon, water and well testing GURU and is passionate about people, service and homes!